HL Mencken observed that looter politicians trot out an endless stream of hobgoblins to frighten the rubes into wanting a State of Fear. People who watch teevee, instead of reading, grab my sleeve to warn me about Clinton’s secret ambitions or Trump’s subconscious plans. When I ask how they found out, off they go after other sleeves to clutch–or demand instantly verifiable proof that their pathetic fears are false. The more mystical the voter, the more susceptible to frightened gibberish and unfalsifiable ravings. The Constitution does not contemplate any relation of the President to its amendment. You can veto any other form of legislative action but you do not have that power in relation to Constitutional amendments. That distinction was made for the definite purpose of holding alterations of the Constitution away from the President, who is solely an enforcement officer in this relation. Root, it turns out, had himself tried to get the Supreme Court to strike down the Prohibition Amendment and failed. So the possibility remains that The Almighty Dollar will miraculously cause two-thirds of the Senate to confirm anti-Constitutional judges. Mammon could then cause them to refuse to enforce an Amendment–if the price were right. This, thanks to the Democratic and Republican parties, had actually happened ten years earlier, in Schenck v. US. The First, Fifth and Thirteenth Amendments were summarily but temporarily nullified by the looter-appointed Supreme Court in a case where the accused passed out copies of the Anti-Slavery Amendment to men waiting in line to be drafted into WWI. The court used the “shouting fire in a crowded theater” excuse to send the pamphleteer to prison for handing & mailing out a piece of paper urging the Bill of Rights. After the communist revolution took Russia out of the war, Germany might have won. These States would have lost the money they had fronted Britain and France. Mammon and the Court therefore decreed the First, Fifth and Thirteenth Amendments were not important compared to those war loans outstanding. But those Amendments are still there in case the Court needs to club someone over the head with them at some future date, perhaps with less money on the table. The moral of the story is that it would take LOTS of money to quash the Second Amendment. But crime is way down, and ALL recent Supreme Court decisions have favored Open Carry, less regulation, shorter forms, and with weed becoming legal, yesterday’s “felons” will be just plain folks again. The only amendment ever repealed was the Prohibition Amendment, by ratification of the 21st Amendment, which struck it down but assigned the States the power to make light beer a felony and murder entire families–with federal assistance–to enforce all related laws. This process began in 1933 after Herbert Hoover’s asset-forfeiture strategy brought on the Crash and depression had wrecked the economy. Two-thirds of the states won the race to ratify begun in March, but it took till December, with tens of billions of dollars and long jail sentences for millionaires in the balance. Twenty-four years would pass before the Republicans ever elected another President. Both the Democratic and Republican parties insist on federal prohibition and the communist manifesto income tax–things that cause militarized police to jail and shoot our kids, and destroy the economy, causing depressions, repossessions and unemployment. More to the point, no self-respecting American woman of childbearing age wants anything to do with the kind of man who would use government force to compel her to act against her will and better judgment. 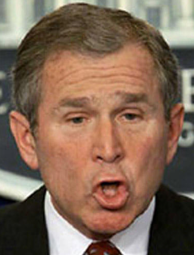 George Waffen Bush destroyed the economy to please faith-based, ku-klux, mystical fanatics and his party deserves to be abolished and replaced. The honest and constructive way to man up and make things better in 2016 is to vote Libertarian or just stay home, like Scott Adams. Ever need a translator able to make sense out of legal, technical and political documents? 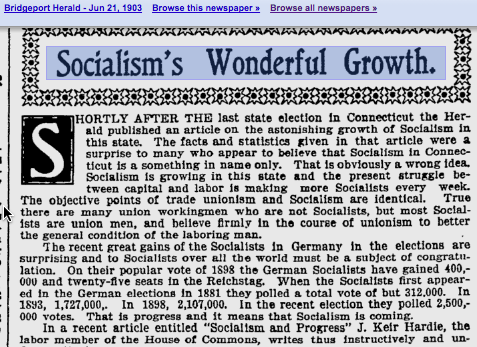 Socialism as preached in the 1890s was supposed to bring utopia. Instead, beginning in 1919 it brought Communist dictatorships, mass starvation and the return of slavery. 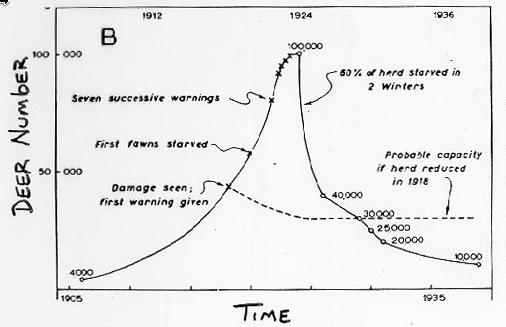 As of 1933 it added extermination of non-Christians of Semitic extraction, more mechanized industrial warfare, and finally hydrogen bomb brinkmanship. In every case, there came collapse into poverty to rival America’s Hoovervilles of the 1930s. Even today the phenomenon can be seen in Venezuela, North Korea, and pockets of Africa. From the darkest hour of the struggle between Christian National Socialism and Collectivist International Socialism there emerged a third political party dedicated to the restoration of individual rights through the abandonment of physical aggression. It was a new dawn! For 45 years now the Libertarian party has struggled to repeal Nixon’s political subsidies–subsidies that purchase ballots for the Kleptocracy of naked aggression. The Kleptocracy makes young men into agents of murder and sacrifices the individual rights of women on the altar of anti-rational teratogeny. In 1892 its philosophical schism was represented in literature by the Accumulation and tenements swarming with dreamers of an imaginary Altruria. The Kleptocracy competes for votes against a libertarian party that appeals to freedom, reason and voluntary cooperation–appeals first put into words by a woman (during the Nuremberg trials and executions of Christian Socialists) and represented by an incoercible Porcupine (NOT chattel of burden). Yet the Kleptocracy is slowly giving up ground. It has to have its judges, governors and state legislatures strike down bad laws or lose salaried positions financed by money ripped away from the productive. Small wonder “both” parties are upset! “Take me, for instance. When Low came in, some of my men lost public jobs, but I fixed them all right. I don’t know how many jobs I got for them on the surface and elevated railroads–several hundred. “I placed a lot more on public works done by contractors, and no Tammany man goes hungry in my district. Plunkitt’s O.K. on an application for a job is never turned down, for they all know that Plunkitt and Tammany don’t stay out long. See! “Let me tell you, too, that I got jobs from Republicans in office–Federal and otherwise. When Tammany’s on top I do good turns for the Republicans. When they’re on top they don’t forget me. But live and let live is a Libertarian Party motto. Only Libertarian Party candidates agree to act and produce the quiet, confident votes cast against the initiation of force–even surrounded by a choppy sea of angry looters. But that lone voice, as demonstrated by the Solomon Asch experiment, suffices to increase honesty, bolster independent judgment and act as a gumption barrier protecting individual honesty from social pressure exerted by the false dichotomy manufactured by the Kleptocracy. If you can’t register in time to vote, why not make a donation to your Friendly, Neighborhood Libertarian Party? The National LP.org accepts donations online. Your contribution will be worth 30 times as much as if cast for either gang in the Kleptocracy. The People’s Party got nearly 9% of the vote–six times the spread between winner and loser–in 1892. This frightened the Donkey and Elephant parties into making all individuals into beasts of burden under the income tax–a tax that was in neither of their platforms. Then came the surprising discovery that importation of communist manifesto planks into Federal legislation meant economic collapse. In the year 2016 the situation is not much different. Mystics still demand that the violence of law be used against their neighbors–especially women. The mascots of the two entrenched Kleptocracy parties are those same beasts of burden, Jackass and Pachyderm. 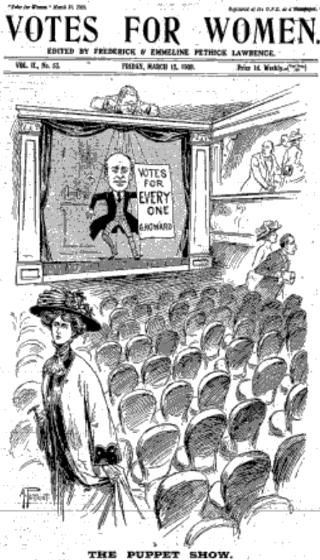 The election struggle is presented by their media as a contest between “idle holders of idle capital” and “the struggling masses,” a tableau framed by William Jennings Bryan and recently exhumed by Bernie Sanders. Even the background issue of individual rights has barely changed. Women–who in 1892 fought for the power to vote, and in 1932 used that power to rescue the nation from economic collapse from the income tax and prohibition, are today beset by male fanatics intent on again denying them individual rights in violation of the Constitution. But after a century and a quarter, in the middle of another Great Depression caused by prohibitionist asset-forfeiture, there is a third set of pieces on the chessboard–the Libertarian Party. When the Supreme Court enforced individual rights for African-Americans, bigoted collectivists promptly appealed to violence to restore the status quo ante. The Court again moved to enforce individual rights–this time for women. But in the Roe v. Wade decision the Supreme Court acted to protect the Republican and Democratic parties, that had nominated and confirmed its members, from competition–namely, the pro-choice Libertarian Party. The Roe v. Wade decision was handed down two months after the Libertarian Party ran the first woman candidate for vice-president, Tonie Nathan, alongside John Hospers on a pro-choice platform. Many court cases, most recently involving the right of individuals to marry whomever they please, have been decided with nervous glances in the direction of the LP. Pressured by the game-changing power of small-party spoiler votes in the wake of the Y2k election, the Kleptocracy has begun fragmenting. The slave-Elephant’s mahouts are calving off Apocalyptic hate groups dedicated to the coercion of women (and also spouting occasional libertarian-sounding positions). As in Germany in 1933, they are organizing another Holy War pitting Christianity against foreigners and persons of Semitic provenance. The Jackass-of-burden party spalls econazi End-Times Cassandra cults led by parasitical ex-scientists and predatory politicians. 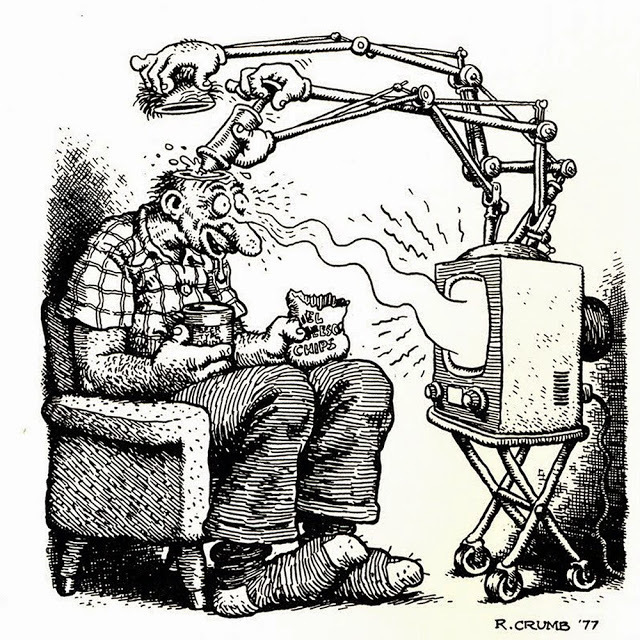 Those worthies fasten like lampreys onto the taxing and regulatory power of industrial society and are hailed by the subsidized media as prophets. These mutated offspring have now turned on their spawners. Three separate factions, the GOP, “Constitution” and Tea parties, compete for the power to force women to reproduce against their will. Three others vie with equal ferocity for the destruction of industrial civilization and a return to communist-style dictatorship. If the Republican Party–dominated entirely by prohibitionists since 1928–were able to break free, it would have done so between 1932 and 1950. Instead it scolds us with 2266 words of a Bryanesque “Cross of Scold” speech around which the rest of the GOP platform–including preservation of the individual income tax and all manner of asset-forfeiture looting–is daubed like mud into wattle. The gist of it is that the Constitution is wrong and men with guns–people like the cop-killing Planned Parenthood shooter–need to be sent after physicians to show them uppity Jezebels who is boss. Porcupine libertarians are, of course, targeted by infiltrators from both variants of coercive collectivism, but the taint has not adhered at all well. Visit the Twenty-First Century alternative to Ottoman-style prohibitionism and East-German totalitarianism at LP.org. Third parties have historically been harmful. The exception was the Liberal Party of 1930, which jolted the Democrats into plunking down for repeal of the prohibition laws that destroyed the economy and caused the Great Depression. The principle, however, is the same: a small but single-minded party pressing a platform the entrenched parties in a mixed economy struggle to evade, gets enough spoiler votes to make the difference between winner and loser here and there. This causes one of the two entrenched parties, eager for spoils, to change its platform or otherwise pass laws to steal that small party’s thunder. The most striking recent examples have been the Green Party’s determination (if we politely ignore Tennessee voting against its Green Goracle) of the Y2k election outcome. 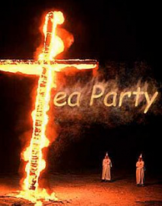 Then there was the quasi-Mohammedan Tea Party (same thing as the Prohibition Party, Constitution Party, American Party, Lyndon LaRouche party, John Birch Society and Ku Klux Klan) that affected the campaigns leading up to that same George Bush election. Unlike the DemoGOP Kleptocracy, with its 35,000-word spewings, one Tea Party faction takes fewer than 100 words arranged into a 15 Commandments to expound the triumph of superstition over reason within its ranks. The First Commandment is a tautology. Commandment 2 is obscurantist obfuscation. The rest are exhortations and declarative opinions, the most revealing of which is item 5: Gun ownership is sacred. Ayn Rand pointed out decades ago that conservatives rely primarily on the argument from faith, and the argument from tradition (superstition is good, old is good) as a basis for determining what kinds of things a government ought to do. Their application of Olde Tyme Religion to the physical restraint of men conflicts with the First and 14th Amendments (the free=uncoerced exercise thereof, All persons born, not ova fertilized). The most typical proponent of faith-based values has been the Colorado Planned Parenthood shooter, precisely the type of individual George Waffen Bush wanted as a spokesman for the Bill of Rights. After all, he issued two Executive Orders packing the federal government with cross-burning fanatics. Any rational person will defend Second Amendment rights as individual rights that make political and economic sense, not antique voodoo totems. Nobody has to vote for the Libertarian Party, but that choice makes a lot of sense. The whole point of voting Libertarian is that we can’t possibly LOSE! We are voting to repeal prohibition, get the communist manifesto out of the Constitution and enforce the individual rights of everyone–even pregnant women! Bookies using actuarial math bet their own money 6 to 1 that The Antichoice will LOSE (not elect its gross candidate) and 5 to 1 that the Pro-choice looters will win (lose non-reproductive rights, and elect a Grrrl). There is a huge surplus of Democrat probability, and no remote danger of hordes of Dems defecting and “letting” the Gee-Oh-Pee keep bullying girls and shooting hippies and blacks. The Gee-Oh-Pee is pushing the same greedy superstitious prohibitionism that caused its morons to lose, and if History is any guide, will continue to defend the 1928 Prohibition Platform and Comstock laws until dissolved and replaced. Bigots have several antiabortion parties, and fiscal conservatives (if there is such a thing), can vote Libertarian. A libertarian vote packs at least six times (and possibly 30 times) the law-changing clout of a vote for the looter Kleptocracy. The math is simple fractions and proportions. Get in touch if you need a translator of Latin American laws, contracts and financial reports. The Republicans lost the presidential election even before 2007 by ramping up the faith-based asset-forfeiture looting “intended” to enforce prohibition laws creating victimless crimes. Herbert Hoover enforced nearly identical laws using policies and Executive Orders with exactly the same intentions and exactly the same results. After Hoover’s GOP destroyed the nation’s equity and shut down every bank before FDR’s Inauguration Day, two decades would pass before religious hatemongers got another chance to crush the First, Fourth, Fifth, Sixth and 10th Amendments through the coercive enactment of superstitious nonsense. Equality (the book) is seldom mentioned—especially in conservative circles–for with its clerical trappings it later served handily as support for the National Socialist Workers Party platform just as A Traveler From Altruria (full text) promoted socialism during the Panic of 1893–and even provided a sociological foundation for Soviet Socialism. Eisenhower, the Germanic General to whom Germany had surrendered, was unwittingly the entering wedge for a resurgence of precisely the sort of shotgun marriage of faith to the forcible restraint of men that had produced the Ottoman Empire, the Soviet Empire, Nationalsocialist Germany, and finally the Military-Industrial Complex dictating all that Americans may eat, drink, think and do. 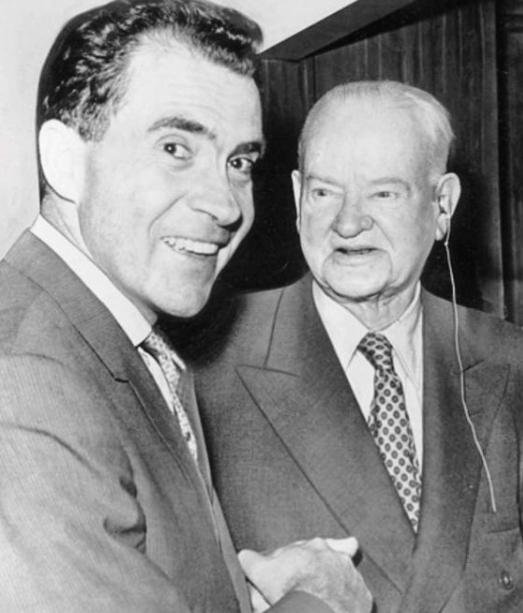 McCarthyism and the John Birch Society politically revived Nixon, whose Moral Majority made slaughter and imprisonment the icons in America they’d previously been in Germany until May, 1945, and whose revival of prohibitionism guaranteed a repeat of the Hoovervilles depression of the 1930s. The Liberal Party repeal platform of 1930 was adopted by the Democratic Party to escape defeat by spoiler votes and end the depression. This chain of events is repeating itself today. Many State governors such as Gary Johnson and Bill Weld have understood since 1929 that prohibitionist looting by unproductive hands ruins a nation’s economy. Hence the current wave of libertarian-enabled repeal campaigns in the several States in the wake of the George Bush asset-forfeiture Crash and Depression. Both entrenched parties cling to prohibitionism and asset-forfeiture looting, and will until your vote tells them to change by making them lose–even if to each other–for being less libertarian. For translation of South American laws, court cases, legal documents, look us up. My other blog in in Portuguese.